A few weeks ago, I joined Dr. Sandra Toze at the 2018 ARMA Canada Conference held in Vancouver. This was Dr. Toze’s and my first face-to-face meeting and my first introduction to ARMA Canada, an organization dedicated to providing professionals with the research, tools, and training required to manage records and information within an established information governance framework. After two days of stimulating dialogue, I came away with a renewed appreciation of where information has taken us in our current reality. Dr. Toze is involved in cutting-edge research that will provide direction on how society can harness and use the power of information. We live in a world that has the technological resources and capacity to amass data at an exponential rate. Traditional work and career pathways have been transformed by virtual teams, collaboration and mobility. New skill sets are required, specifically in the areas of information management and governance. CEGE Connection is pleased to announce that Dr. Toze has graciously agreed to a series of interviews that highlight her research goals and insights concerning the potential of our digital age. We invite you to join this important conversation. Courtney Bayne, MIM (2017) has returned to campus to utilize her knowledge and experience of information management in her new role as Records Manager at Dalhousie Libraries. Reporting to the University Archivist, Courtney is responsible for the effective, ethical and sustainable management of the University’s information resources. In a recent virtual interview with CFAME Connection, Courtney shared her thoughts on why she chose Dalhousie’s Master of Information Management program. I have always been drawn to puzzles and organization. This led me to completing a diploma in Library and Information Technology from Nova Scotia Community College (NSCC). There, I was inspired to pursue a career in records and information management (RIM). One of my records management instructors encouraged me to become involved with the local ARMA International Chapter. After meeting professionals and colleagues in the information management field, I decided to direct my studies focusing on obtaining a career in RIM. 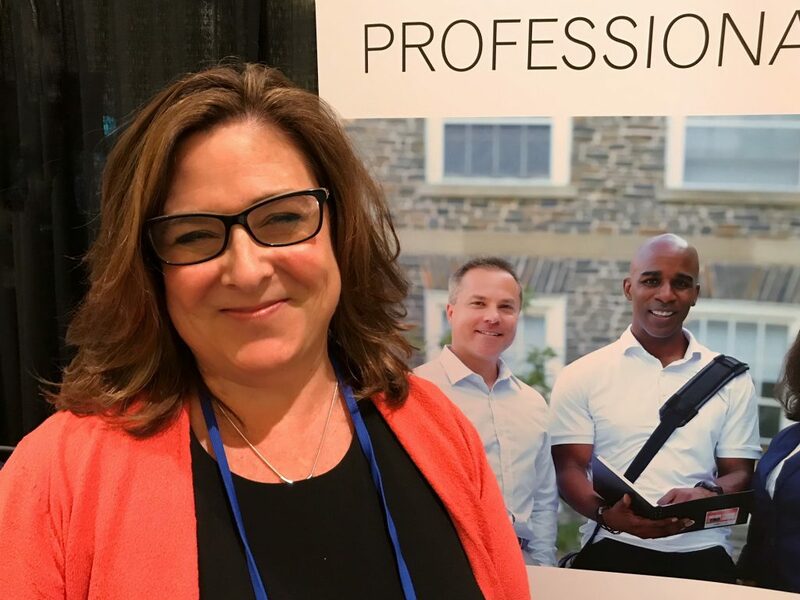 While working in the field for a few years as a Records Analyst, I attended an ARMA Conference (in London, Ontario) and stopped by the Dalhousie University booth promoting the Master of Information Management (MIM) program. I chatted with the Dalhousie representative, which I recently discovered was Michelle Hunter, and learned about the program. I was super excited! The program spoke to the possibilities I saw in the field and the direction I wanted my career to go. So, when the timing was right I applied, and well, the rest is history. The MIM program helped me see the broader perspective of RIM and gave me the tools to apply in my place of work. The courses highlighted the capabilities of properly applied RIM and how to make that happen within an ever-changing work environment. Having the program offered in a blended on-line arrangement (virtual and in person), I had the amazing opportuning to learn from my classmates. Working with these wonderful people, I embraced the transferability of the teachings no matter where I worked. Coming out of the MIM program I wanted to effect positive changes with RIM. The program inspired me to believe that wherever I worked that was possible. I graduated with the self-confidence that I could apply the knowledge gained from the program and add value and insight within the rapidly evolving field of information management. When I first read the posting of the Records Manager at Dalhousie University, I felt that this was a role where I could make a difference. I feel lucky to have been chosen as the successful candidate as the Dalhousie Community has been very welcoming. How would you encourage others to seek more education? By embracing knowledge with an open mind, you will be guided to where you need to go (even if you are not sure what that is yet). By getting involved you will see things from different perspectives. This will better prepare you for many different situations. Not just become a member of an association – be engaged in the association, take in all they have to offer. I find this type of engagement feeds my soul. Many of our graduates are retiring and/or taking over positions held by those who are retiring. How can we facilitate the life-cycle transitions within the work place? Succession planning is key. Having a diverse workforce is essential in ensuring that the life-cycle continues, and that the knowledge is transferred. Creating a space where ‘new to the role’ and ‘people moving to the next step’ can chat and engage. Having these people connect and learn from each other. Networking – there are so many definitions but they all pretty much mean creating pathways to better things. How do you include creativity in your busy schedule: i.e. music, painting, writing, singing, sports, travel, volunteerism? I am still an active member of ARMA International. 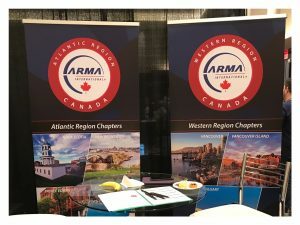 But I have moved from involvement with the local chapter to the national region – ARMA Canada Region. With this team, I hold an executive position. Being a part of something bigger helps keep things in perspective for me. I gain so much from the members of this community. I feel giving back is my way of saying thank you. With a busy schedule it is easy to lose sight of things, so I go for hikes and trail runs to help keep my head clear. My hiking/running buddy Digby (my German Short Haired Pointer) helps me stay motivated and on track. Courtney has graciously agreed to be a repeat contributor on CFAME Connection.